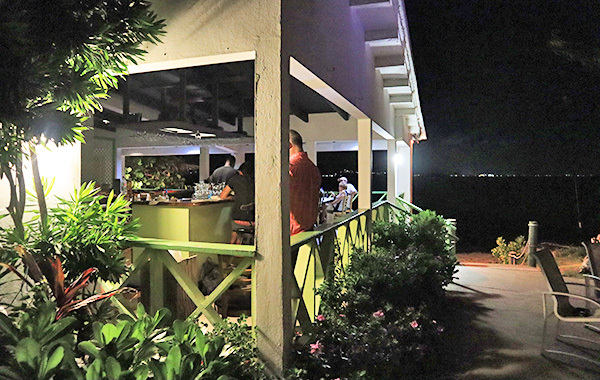 This family-run, pub-style restaurant overlooking the Caribbean sea and St. Martin is one of the best value spots on the island. Run by two of the sweetest souls, Christian McClean and his mother, Marjorie, when you're here, you're always made to feel welcome. The friendly service is just one aspect that makes Ferryboat Inn an A-list restaurant. The food is hard to top, too. 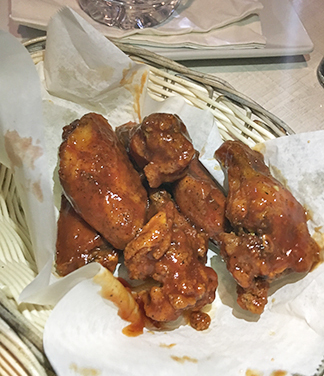 From one of the best burgers on the island, to their $1 wings night, to their roast dinner specials, not only is the food delicious, it is also reasonably priced. 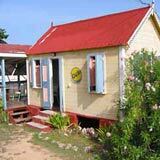 Anguilla is loaded with excellent mid-priced restaurants, and many restaurants serve up tasty burgers. One question our family always keeps in the back of our minds is, "who has the best burger?" 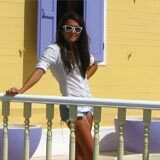 On early trips to Anguilla, our family searched high and low. We surveyed people living in Anguilla. The recurring advice? "Try Ferryboat Inn. Theirs is unbeatable." We made our way down to Blowing Point village, passing the colorful, Caribbean school and the local grocery shop, and took a right just before reaching the Anguilla Ferry. 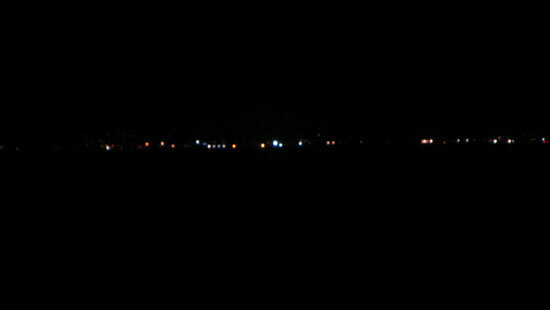 Car doors slammed behind us as we gazed out at the picturesque little restaurant perched right on Blowing Point beach. Visually, this place is ahead of the game. Magnificent view of St. Martin. Gentle turquoise seas and rhythmic lapping waves. 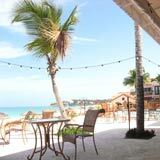 Literally right on the beach, Ferryboat is your prototypical beach bar/restaurant. Ten out of ten for location and friendly vibe. We took a seat right by the edge of the deck, enjoying the tradewinds and the sun. We pretended to examine the menu. I say "pretend," because who were we kidding? We were not here for the fish sandwich. And our stomachs were not craving the snapper salad, as tasty as it sounded. We were on a mission. Burgers! We skipped the menu-scan, and we all cut straight to ordering 4 big, juicy burgers. Our waitress brought us a couple of drinks while we waited. We chat and drank and chat and drank. And then, suddenly, the moment of truth had arrived... Four sensational-looking hamburgers lay before us. 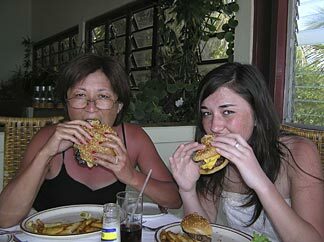 The moment my teeth sank into the burger, I knew. My sister knew. My Mom knew. My Dad knew. "This is a seriously good burger." Ferryboat Inn's burger stands out for its rich flavor. 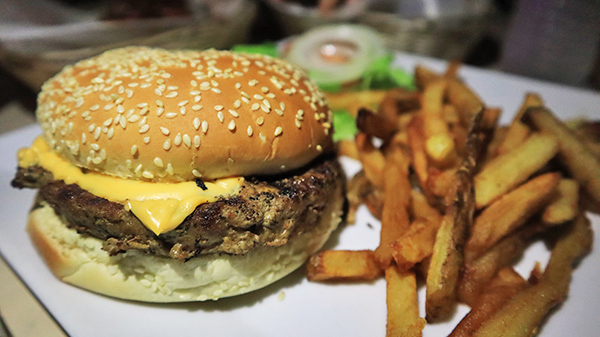 The burger itself is cooked over charcoal, giving it a deep smoky flavor. From there, it is topped with lettuce, tomato and onion, and popped onto a fluffy, white bun. Craving bacon? Or cheese? They'll put it on there, too! Just ask. The burger is served up with tasty handcut, homemade fries. These are so tasty, I recommend ordering an extra basket! 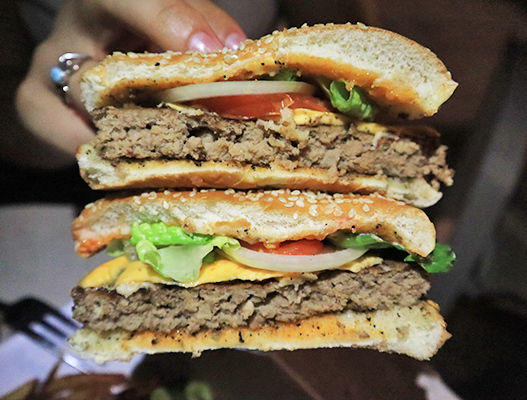 The Ferryboat Inn is definitely a top contender for "best burger of all time" at any of Anguilla's restaurants. 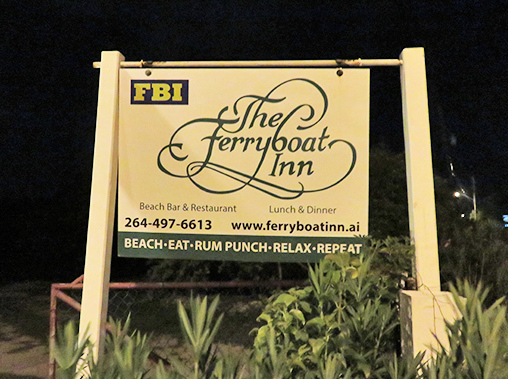 Since moving to Anguilla and discovering THE burger, we have become regulars at Ferryboat Inn. 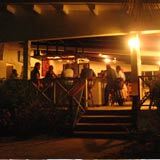 Ferryboat Inn has become one of our favorite, lower-priced, high value Anguilla restaurants. 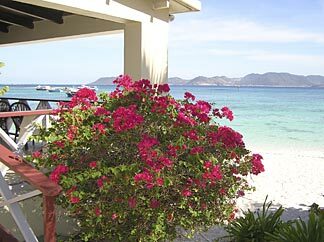 The food is consistently good, the service is welcoming and friendly, and the atmosphere, right on Blowing Point beach, looking out to St. Martin leaves nothing to be desired. When it comes to food? For the longest time, you could only get me to eat one thing at Ferryboat Inn. Yep, you guessed it, burgers. That changes come Wednesday night, the super popular night at Ferryboat Inn. 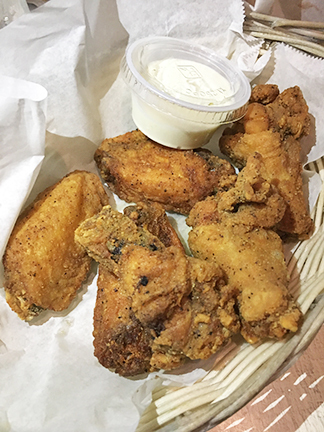 Starting at 6:30 PM (no reservations, so show up early or be prepared to wait) they serve their weekly special: wings, battered and deep fried. 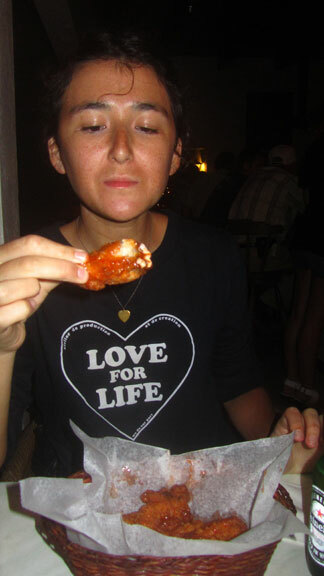 Yuki, and just about everyone else in Anguilla, swears by their wings! 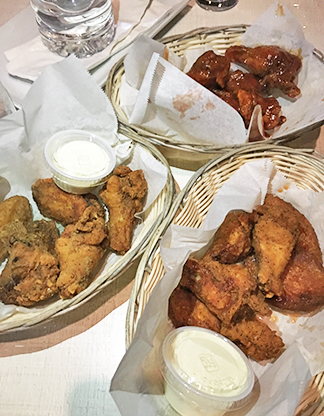 For $1/wing, eat to your heart's content. 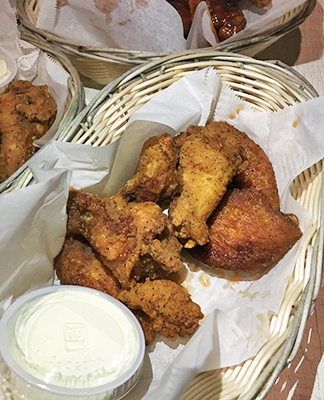 Wednesday Wings night at Ferryboat Inn is fun and lively, and usually very busy. If a calmer evening is what you are looking for, come back when Christian has his special roast dinners. 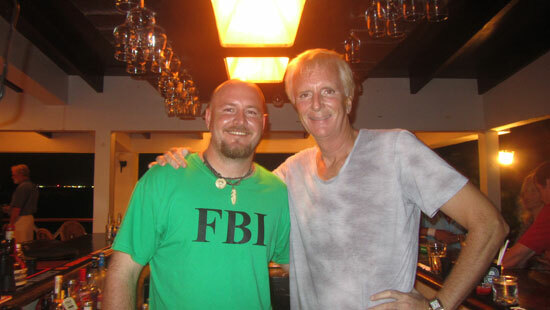 Christian owns and runs Ferryboat Inn with his family, who is from Trinidad. His father was from England, which may be why Ferryboat has a sort of tropical bar-pub atmosphere. 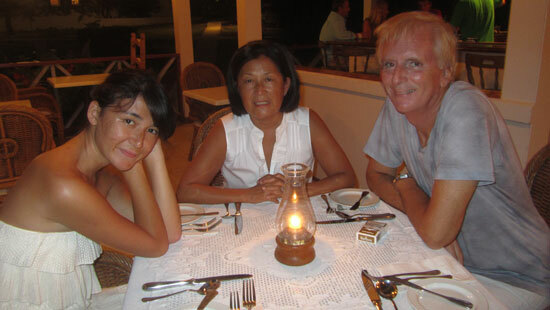 Christian's special roast dinner nights are a favorite for many who live in Anguilla. They are announced on the spur of the moment, so be sure to follow Ferryboat Inn's Facebook page to see when they will be happening. When it comes to the roast itself, the dish can be anything from roast pork to roast beef. Christian does them all well. 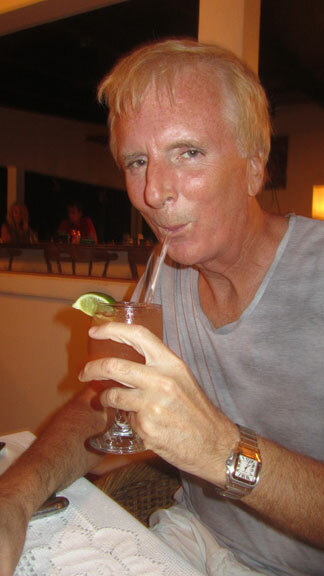 Dinner always begins with a rum punch. 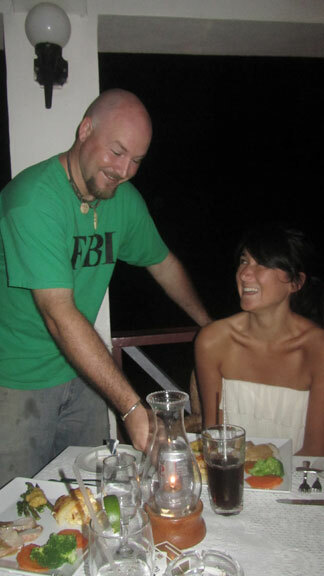 Christian serves one of the best rum punches on the island. Not watered down, no fruit juice, not too strong, just perfect. It's hard to find a rum punch that tops Christian's! Christian brings over a warm basket of bread, straight-from-the-oven. In good time, dinner is served. If you see roast pork tenderloin listed as a special, don't miss it. It is one of Christian's best specialties. Pork tenderloin is roasted to perfection, served in a light gravy. Fresh asparagus and steamed vegetables on the side. Some nights Christian serves baked potato, mashed potato or roast potato. Each are equally good, but we all love his scalloped potatoes. Other specials served can include roast lamb, roast beef and, when Christian is feeling creative, chicken parmesan stuffed with coconut. The specials are served with fresh vegetables, and a potato side. We usually skip starters to save room for Christian's special, but if you're a bigger eater, for starters, most people can't get enough of Christian's French onion soup. 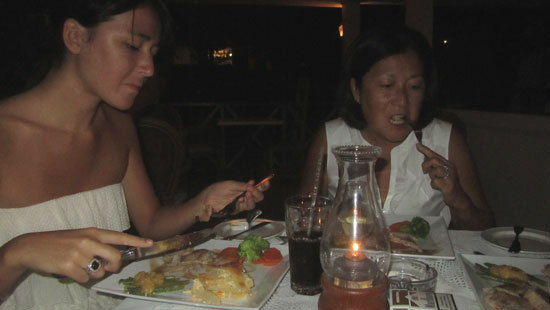 Mom and Yuki Dig In! Our plates are always clean in no time. My Dad usually thinks, "Should I order a second plate?" 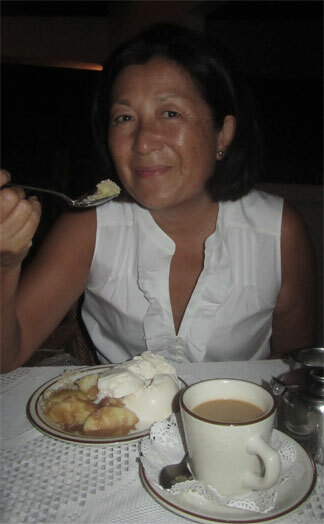 Instead, we usually "settle" for a dessert of apple crumble and coffee. Four special roast dinners, 1 cocktail, 5 glasses of Pinot Grigio, dessert and a salad for starters will not break the bank. 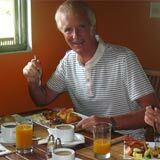 The reasonable cost, friendly atmosphere and consistently good food keeps us coming back again and again. Directions: Heading towards Blowing Point ferry terminal, take the right immediately before the ferry area. Continue down that road. Shortly, you will see a Ferryboat Inn side on your left. See map below for exact location. Good for Wings Night every Wednesday ($1 wings), burgers, French onion soup and Thursday roast specials. Hours: Lunch is served Monday-Saturday from 11:30am-3pm, dinner is served Monday-Saturday from 7-10pm. Closed Sunday.